Summer is coming, and we are fighting face to face with the heat. It’s now the season when the sun is too hot, and this could risk our own health. That’s why one needs to preempt himself or herself to avoid getting caught off guard with the sun’s striking heat. One of the many conditions we need to steer clear of is heatstroke. Heatstroke is a condition which results in the overheating of your body. This is usually a consequence of prolonged exposure and/or physical exertions in high temperatures. As the most serious form of heat injury, you can suffer from this condition if your body temperature reaches 104o F (about 40 o C) or higher. There is beauty in wearing those tight jeans and perfectly fit blouse that show off your curves. However, nobody finds the symptoms of heatstroke beautiful at all. If you prioritize your looks over your comfort this summer, you will limit your body’s ability to cool naturally. Sunscreens with 40 SPF or more helps you avoid sunburn. Sunburn is a nasty skin condition. It hinders the body from cooling itself. Aside from applying sunscreen, you can also help prevent sunburn by wearing wide-brimmed hats when going outside. Or you can simply stay inside when the sun is at its highest peak. Water is life not just because it is where life originated. It also keeps our body hydrated and cool. Once you are hydrated, you encourage your body to sweat. And when you sweat, you maintain your body’s normal temperature. Your car may be a safe place to leave your kid, your pet or your grandparent in. But are they as safe as you think when you leave your car in parking areas? Did you know that leaving children in cars under the heat of the sun is “the most common cause of heat-related deaths among children”? In just 10 short minutes, your car temperature can rise to up to 20o F (or 6.7 o C). Leaving a person or an animal inside your car while it is parked is never safe during warm temperatures. It does not matter if it has a shade or not. It will still cause harm to a living being. If you cannot, do not forget to drink plenty of fluids. It also pays to rest under cool shades as frequently as possible. If you want to exercise everyday, you can do it on cooler parts of the day like early mornings or evenings. These tips are brought to you by Bayou Home Care. 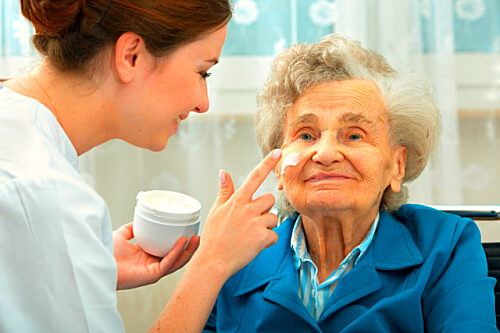 Enjoy your summer with our professional provider of Home Care in Louisiana.